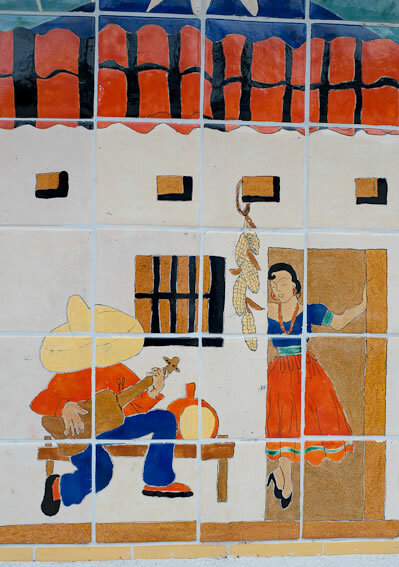 Romantic images of village life in Mexico are set on a colorful tile mural crafted in the 1930’s by Mexican Arts and Crafts, a San Antonio company owned and run by Ethel Wilson Harris, who also oversaw tile projects for the Depression-era Works Projects Administration. 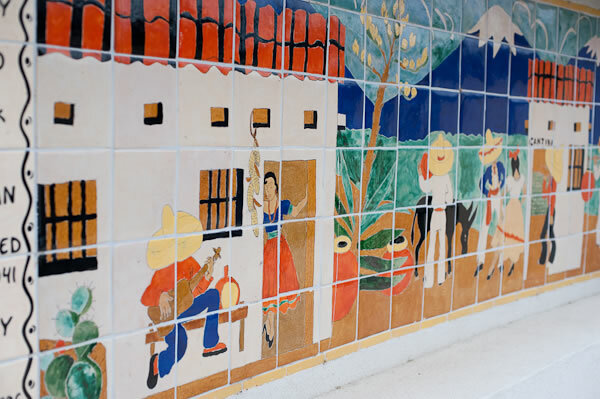 Rescued from a house demolition in 1998, the mural decorated a family kitchen for nearly 60 years. 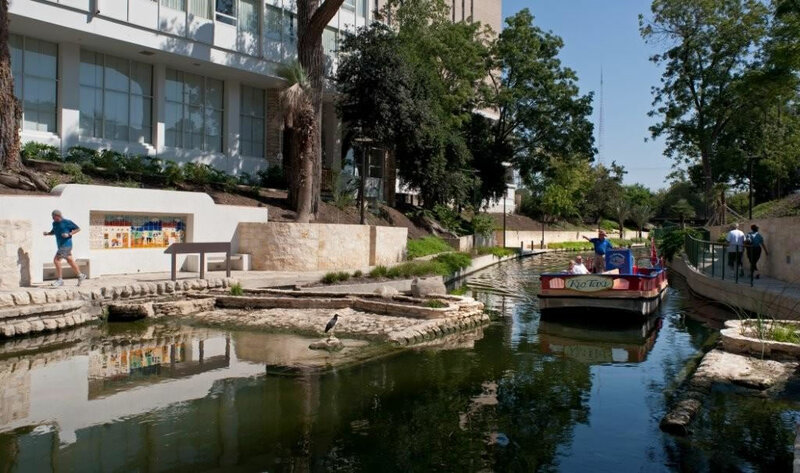 Art historian Susan Toomey Frost had it removed and lovingly restored, then donated it to the River Foundation for all to enjoy. 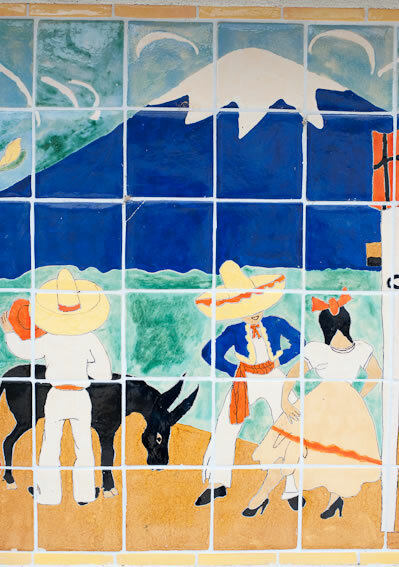 Now located just north of the Lexington Street Bridge, the mural has returned to near where it was originally created at 1002 N. St. Mary’s Street.